I've been the worst blogger ever recently + I apologize profusely for that! But I will explain a bit because I have been a bit all over the place. I finished my internship at L'Oréal Paris USA last week + I move to London in less than two weeks *gulp*. In that time I have been sorting out my apartment (I will be living with my partner in crime Ellyn who you may have seen in our Fierce & Flawless Blondes vidz), I was also chilling with my new favorite person aka Chelsea from chelsea wears... OH + the wonderful Vivianna mentioned me on her blog which made me die a little bit. And I mean die in the American 'oh my god I die' sense (aka this is a very good thing). Anyway I am just trying to really enjoy my few days in this amazing city before I go into poverty in London. 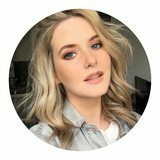 If anyone wants to keep up with my life a bit better than do follow me on instagram! As I mentioned I got to meet Chelsea a few times I thought I would talk about her online store Anomie because it is genuinely a favorite right now. She has impeccable taste so you can steal a bit of that from her store which has the most beautiful jewelry, clothes, home stuffz... etc. Also if you don't know who her boyf Ryan Patricks is then... NOT SURE WHAT YOU'VE BEEN DOING WITH YOUR LIFE jk you've probably just been living it like any other normal person. You need to buy his book 'You're Not Helping' + follow him on twitter. I promise you won't regret it. Unless you hate laughing. In which case you need to rethink your existence. 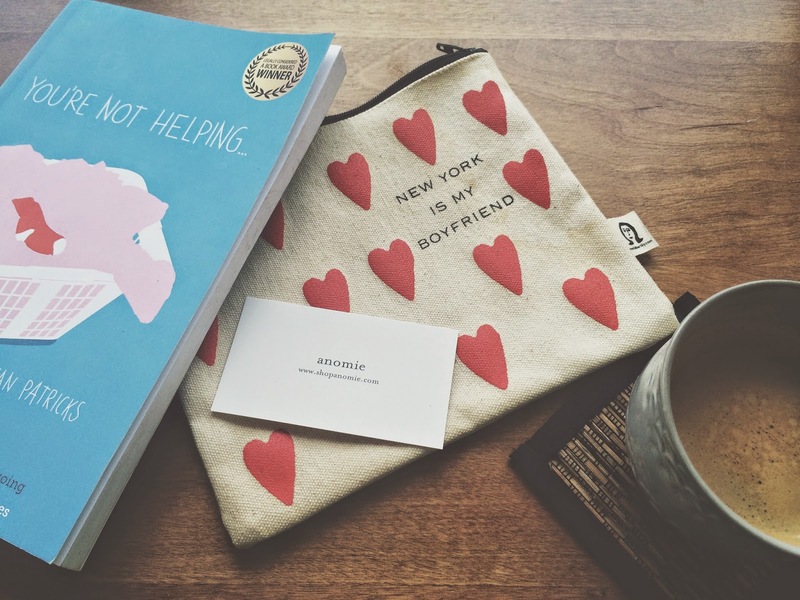 The 'New York is my boyfriend' pouch is by Pamela Barsky. I own a couple of these + they're really useful for makeup/skincare/pens/whatever so I'm a big fan of these. I get these from Chelsea Market in Chelsea, New York. CHELSEA CHELSEA CHELSEA... I need to stop liking all things Chelsea related. Although Made in Chelsea NYC was a bit cringe, non? I love that little pouch so, so much! I hope everything runs smoothly with your move to London, what an amazing experience!